It's been a hot, dry season across much of the whitetail's range, but the summertime blues have done little to dampen the enthusiasm of deer hunters anticipating the approaching fall. With the first high-mercury days of bow season starting to give way to cool mornings and increasingly-on-the-move bucks, it's time to put your game face on and get serious about the quickly approaching rut. 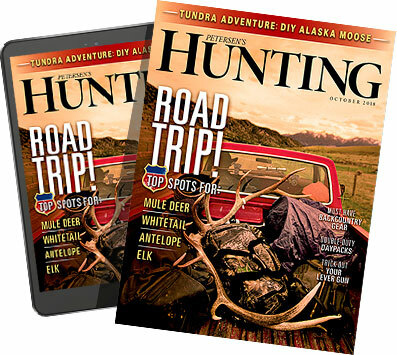 While November is considered primetime for many rut-focused hunters — most of them toting firearms — October is like the special preview for members only, providing serious whitetail chasers with that first true crack at a trophy on the hoof and an opportunity to make this the season of their lifetime before the bulk of hunters have even stepped into the woods. The following tips will give you that edge at this unique time of year and ensure that your chance to jump-start the 2012-2013 deer season isn't squandered.